Our ministry is based on the spiritual text, A Course in Miracles. www.miraclesone.org We have two accounts here on Spreaker so be sure to check both out! All 365 Lessons are now available on Spreaker.com if they don't show up on iTunes. We offer a daily Lesson Meditation in our MiraclesOne Phone Room. These were recorded and are made available to you to use in your practice. All about practical application of A Course in Miracles. From our weekly ACIM w/MiraclesOne Podcast and Sunday Messages. Formerly "Divine Messages: A Journey Through the Workbook for Students"
Presented by MiraclesOne, the daily lesson is read and a commentary inspired ... See More by Holy Spirit. Your donation helps to bring these audios to you. "A Year with the Text"
Join us as we study the Text in A Course in Miracles. See our website for all of our FREE Resources. Many resources for you and for free! Your donation makes this possible! 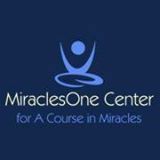 MiraclesOne presents Living the Lessons, a podcast highlighting the Workbook Lessons in A Course in Miracles. For 2019 we are devoting our time to the "Year of Practical Application."